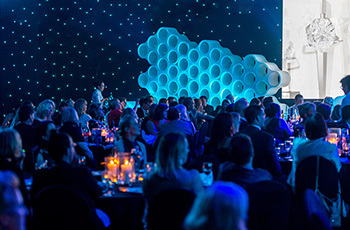 As a proud sponsor of the Australian Event Awards and Symposium welcomes another, ShowTex Australia joined the Awards and Symposium community as its Theming Partner and added its name to the brand-new category "Best Small Event". After international success, ShowTex recently set up a presence in Sydney to bring innovative flame-retardant fabrics, tracks and motion control systems to the event and theatre professionals in Australia. The new Australian headquarters features a specialised workshop, a fully stocked warehouse and a motived team ready to handle the most challenging projects. Congratulations to all finalists and lucky winners for their amazing contributions to the Australian event scene!